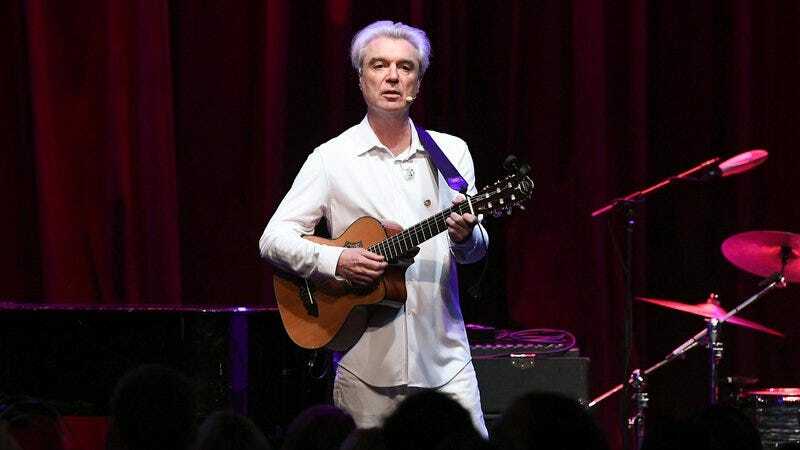 Last week, to promote a new edition of his book How Music Works, David Byrne stopped by Reddit for an AMA about all of the stuff he’s been up to lately. According to Consequence Of Sound, that includes a new solo album that he’s been working on with Brian Eno. In the AMA, Byrne said that he expects the album to available “early next year,” and Eno has been helping him with it “a LOT.” Consequence Of Sound doesn’t expect it to be a proper joint effort like Everything That Happens Will Happen Today, but having Eno and Byrne together is still good either way. We don’t know much else about the solo album, but Byrne also said he recently contributed to a track with Oneohtrix Point Never’s Daniel Lopatin. He says he wrote “words and a melody” over a track that Lopatin sent him, but again, we don’t know much else about that. Again, though, something happening that’s David Byrne-adjacent is usually good news.